The Rolls-Royce Twenty was introduced in 1922 and it was Rolls-Royce’s “small car” – if you can consider something that is as large as this as “small.” In its early years, Rolls-Royce built gigantic cars, so really, anything less than gargantuan could be considered small. It was their first new model since 1907. The Twenty is powered by a 3.1-liter straight-six making, presumably, 20 horsepower. With the correct (read: lightweight) body work, the car could attain 60 mph. The simple yet sporty body on this car was constructed by Smith & Waddington of Sydney, Australia. That’s right, this British-built Rolls was sent as a bare chassis to Australia where its first owner chose to have it bodied locally. Smith & Waddington were the premier Australian coachbuilder for Rolls-Royces. At one point, they were building bodies for 85% of the Rolls-Royces coming into Australia. This car came back to the U.K. in 2013 and has covered 13,000 miles since the engine was rebuilt in 1990. When production ended in 1929, only 2,940 Rolls-Royce Twenty models had been produced. This one should bring between $56,500-$69,000. Click here for more info and here for more from this sale. 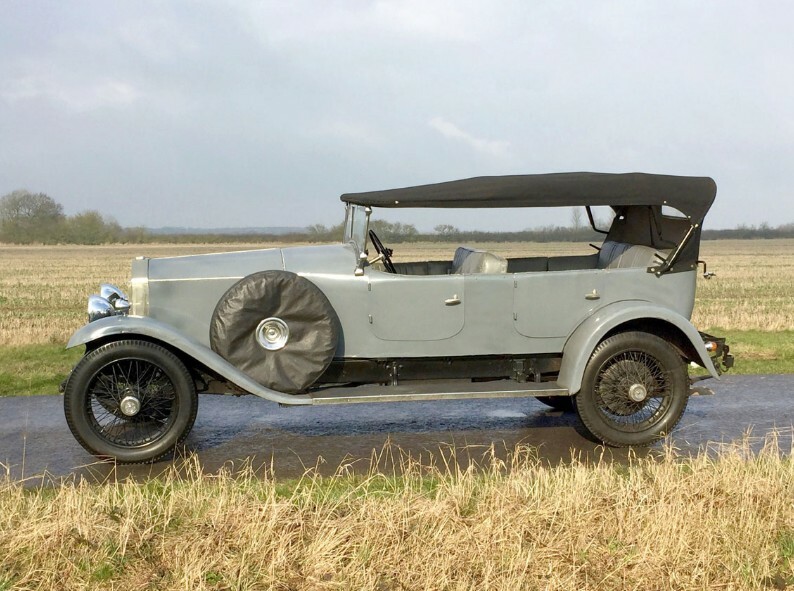 This entry was posted in Uncategorized and tagged 1923, auctions, cars, classic cars, coys, open tourer, rolls-royce, smith & waddington, twenty by classiccarweekly. Bookmark the permalink.